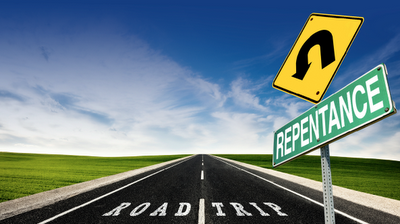 No Good Deed etc: How strange, you may think, for Abq Jew to write a blog post about John the Revelator! Well, it's been a strange week. So here we go. 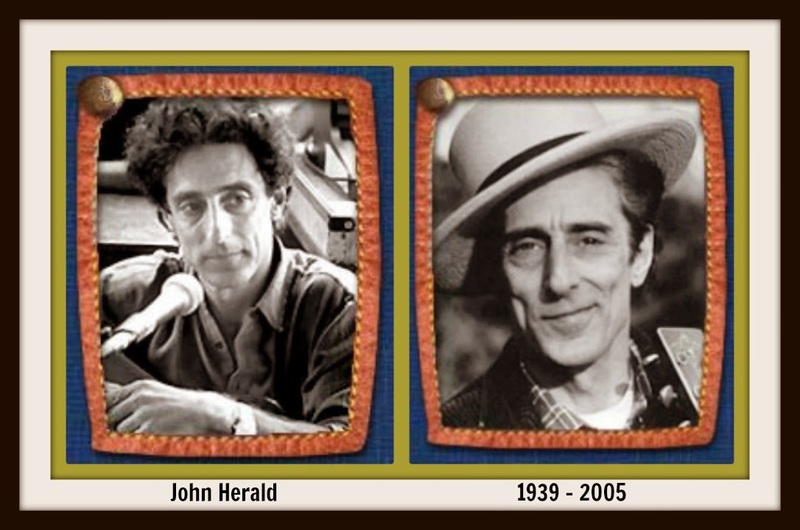 But first: Abq Jew would not know a thing about John the Revelator were it not for the late folk singer John Herald, of blessed memory. John was one of The Greenbriar Boys, which also included banjoist Bob Yellin (no relation). 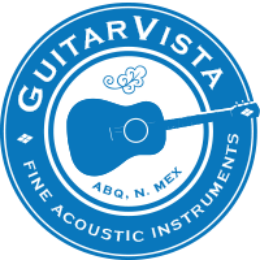 It was from The Greenbriar Boys that Abq Jew first came to love bluegrass and banjo music. Later in his career, John wrote the song Jon the Generator, which was patterned after Blind Willie Johnson's version of the gospel tune John the Revelator. John couldn't remember the words, so he made up his own. It became his own classic. Well, it's been a strange week. 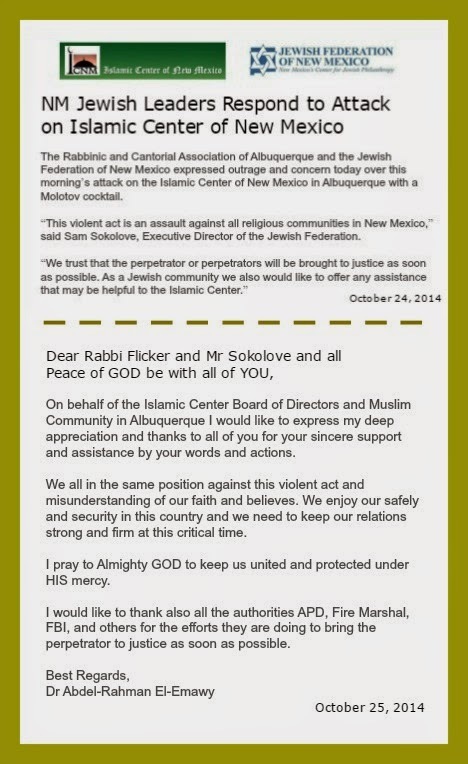 Why, just this very morning, Abq Jew received an email from John the Revelator. Abq Jew received an email from John the Revelation Writer? 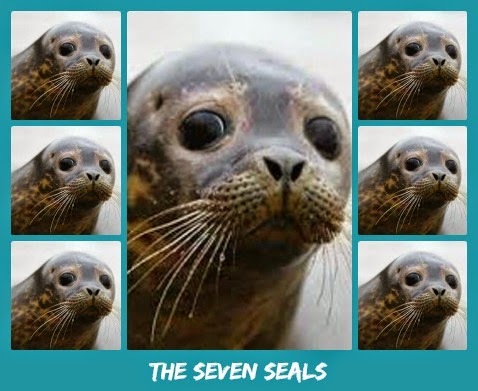 The guy who discovered The Seven Seals? 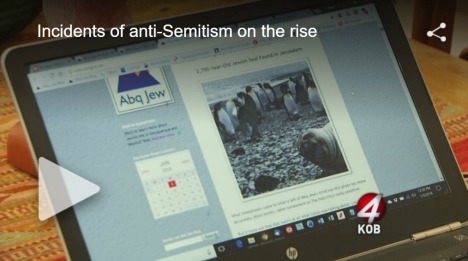 Abq Jew really doesn't know what to do about this. It's just too strange. How strange? 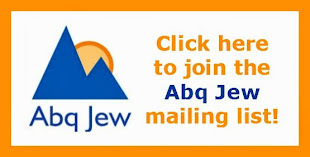 Abq Jew hears you ask. Several local organizations are sponsoring a “peace walk” in support of the Islamic Center of New Mexico following an attack last week in which someone threw a Molotov cocktail at the center’s building. This will be a family friendly walk open to anyone who wishes to participate, including children. Those who participate are asked to bring a candle and, if they wish, flowers. At the Islamic Center a statement of support will be given to Imam Shafi Abdul Aziz, signed by groups and individuals within the community. The Islamic Center has invited the walkers to a reception at the center after the walk. Sponsors include: Albuquerque Center for Peace and Justice, Albuquerque Chapter of United Nations Association, Jewish Voice for Peace Albuquerque, Stop the War Machine, Stop 30 Billion to Israel and ANSWER. 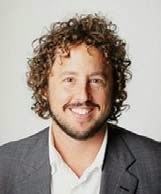 Here is Jon the Revelator. 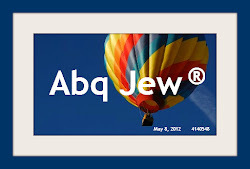 Which is another Abq Jew milestone - the first YouTube video that Abq Jew created and uploaded to his YouTube channel. Enjoy! 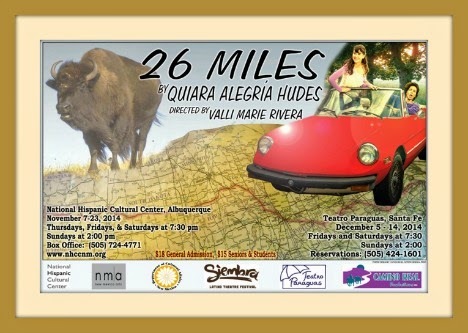 Quiara Alegría Hudes, Playwright: Camino Real Productions, LLC and Albuquerque's National Hispanic Cultural Center are honored to present this captivating play by Pulitzer Prize-winning playwright Quiara Alegría Hudes. Tickets: $18 Community. $15 Students / Seniors / NHCC Members. Beatriz and Olivia are another pair of seekers seduced by the prospect of a getaway. Their midnight departure may start out as a desperate move by Beatriz to remove Olivia, her 15-year-old-daughter, from the care of her conflicted father and his indifferent new wife. It may give Beatriz a break from her philandering husband, Manuel. By the end of the charming, spunky and ultimately heart-rending play, however, the car trip from Paoli, PA, to Yellowstone Park is transformative and restorative for both mother and daughter. 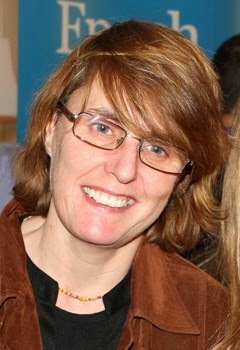 Playwright Quiara Alegría Hudes received the 2012 Pulitzer Prize for Water by the Spoonful; a previous play, Elliot, A Soldier's Fugue, was a Pulitzer finalist. Hudes was born in Philadelphia, Pennsylvania, to a Jewish father and a Puerto Rican mother. They raised her in West Philadelphia, where she began composing music and writing. She also studied at the Mary Louise Curtis Branch of Settlement Music School, taking piano lessons with Dolly Krasnopolsky. 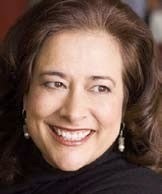 She has stated that although she is of "Puerto Rican and Jewish blood", she was "raised by two Puerto Rican parents". Her step-father was a Puerto Rican entrepreneur. She graduated from Central High School. She studied music composition at Yale University, where she earned her BA, and playwriting at Brown University, earning an MFA. Camino Real Productions, LLC is an Albuquerque-based theatrical and radio theatre production company founded by Linda López McAlister in 2006. 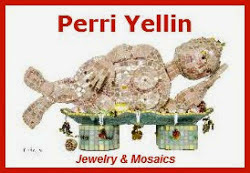 It is one of the theatre companies in residence at the National Hispanic Cultural Center, a division of the Department of Cultural Affairs, dedicated to the promotion and preservation of Hispanic art and culture at the local, state, national, and international levels. Scholar of 'The Other Talmud': It is with great sadness that Abq Jew reports the passing of Rabbi Judith Z Abrams, the founder and director of Maqom: A School for Adult Talmud Study. 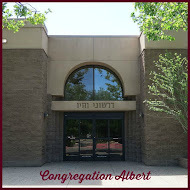 Rabbi Abrams was the Guest Speaker at the Albuquerque Community Selichot Service in 2012. She spoke about the Jerusalem Talmud, the subject of her most recent book, The Other Talmud: The Yerushalmi: Unlocking the Secrets of The Talmud of Israel for Judaism Today. 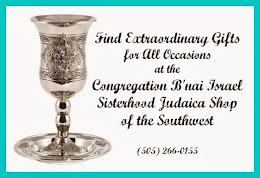 In December 2013, Rabbi Abrams returned to Albuquerque (see Rabbi Judith Abrams Returns to B'nai Israel) to serve as Scholar in Residence at Congregation B'nai Israel. 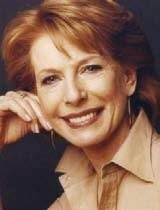 She also taught Master Classes at Congregations Albert and Nahalat Shalom. Until recently, Rabbi Abrams led (via Skype) a weekly "Explore the Talmud" class at Congregation Nahalat Shalom. 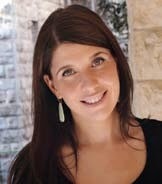 I just learned of the tragic death of my colleague, Rabbi Judith Z. Abrams. 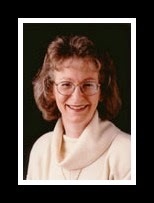 Judy (as I knew her at HUC in Cincinnati) was a brilliant teacher with a beautiful soul and a wicked sense of humor. Through her writing and teaching she brought the complexities of Talmudic discourse to thousands of students around the world. She was a pioneer of online learning. 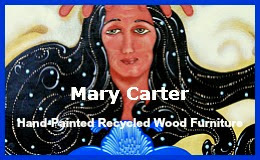 Her website, Maqom.com, brought Jewish sacred text and Rabbinic thought into all corners of the world. Her books were brilliant and accessible - a rare combination. She was a pure soul and a true scholar. The world is a darker place without her shining light. 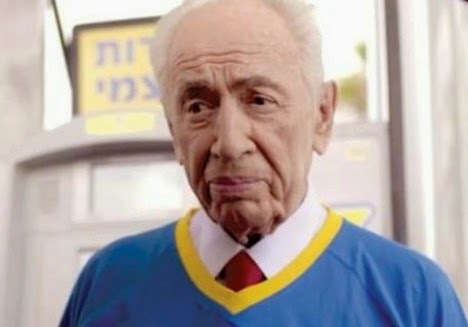 T'hi Zichrah Baruch - may her memory be for an eternal blessing. 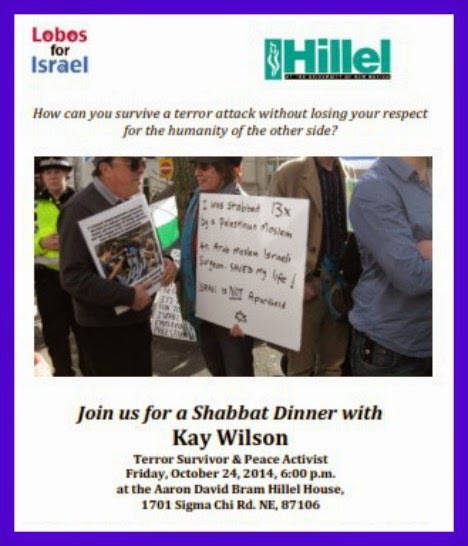 Terror Survivor & Peace Activist: Lobos for Israel and the Hillel at the University of New Mexico are proud to present a Shabbat dinner and discussion with noted terror survivor and peace activist Kay Wilson. Kay Wilson is a British-born Israeli tour guide, jazz musician and cartoonist. She is the survivor of a brutal attack in Jerusalem on December 18, 2010 during which two Palestinian terrorists stabbed Wilson’s friend Kristine Luken to death. Wilson, who was also stabbed multiple times, survived by playing dead. Following the attack — while still bound, gagged and barefoot — Wilson managed to walk 1,200 meters until she reached safety. Since the attack, she has been in demand as a speaker, addressing audiences on issues of human rights and justice for victims of terrorism. 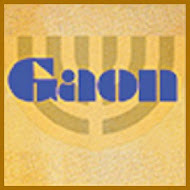 If you'd like to find out more about Kay Wilson, Abq Jew encourages you to read her blogs for the Times of Israel here. A Wikipedia account of her survival (and others' deaths) can be found here. Afraid of the old Sturm und Drang? Don't be! in which she explains why she speaks about her experience. I speak about my experience because I consider it a Mitzvah** to share with you the lessons I have learned following my attempted murder. I wish I had been smart enough to learn these jewels long ago. I wasn't. Now I know, so I want to tell you what it means to be alive. 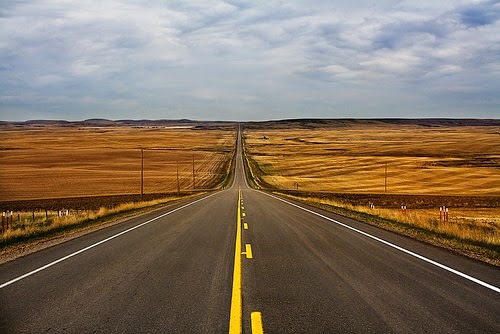 There is a million miles between being alive and knowing what it is to be alive. I also have a hunch that a little bit of priority-arranging-in-life won't hurt anyone. I happen to have a few suggestions. 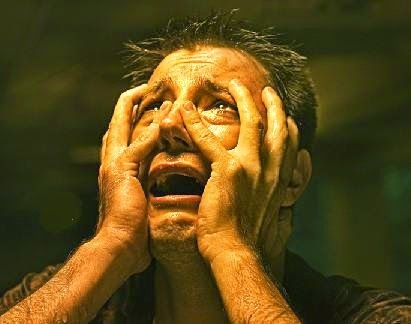 In addition, I have learned some tricks for handling fear, hopelessness, loss, grief, pain, shock, guilt, anxiety, terror, wretchedness, depression, rage, suicidal thoughts, horror, despair, anguish, torment and country music. If I can communicate even a teeny-weeny bit of these life-lessons, then I believe the terror attack and the death of Kristine and Netta will not be in in vain. I want to see at least some part of our world become a better place. Come & hear Kay Wilson! Erev Shabbat @ UNM Hillel! 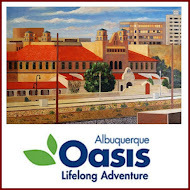 Daring: My Passages: The Jewish Community Center of Greater Albuquerque is proud to present our New Mexico Jewish community’s annual celebration of the written word. 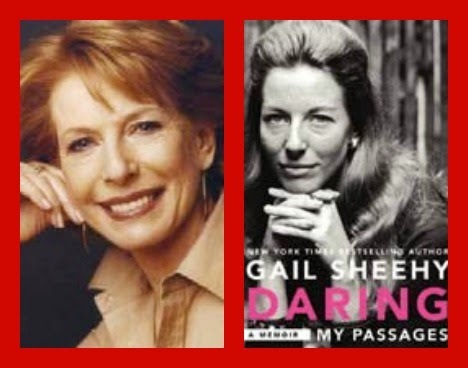 Gail Sheehy, legendary author of the worldwide bestseller, Passages, turns the lens on her own passages in this gutsy memoir. In Daring, we follow Sheehy as she overcomes the 'pink ghetto' of newspapers—"women's pages"— to conquer the gritty "man's world" of New Journalism. Writing for New York Magazine and others, Sheehy walked city streets with hookers to expose violent prostitution, marched with protesters in Northern Ireland, and interviewed Egypt's president Anwar Sadat after he was targeted for assassination. 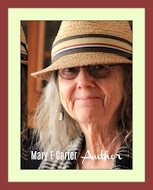 An amazing life told in person by the woman who is living it! 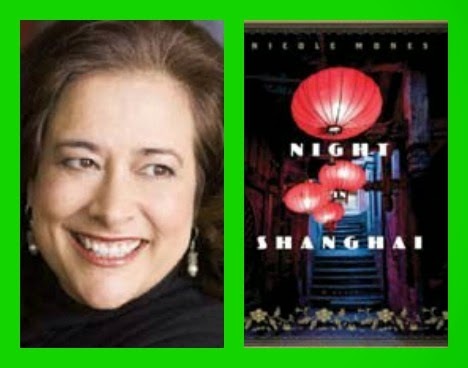 Night in Shanghai: The Jewish Community Center of Greater Albuquerque is proud to present our New Mexico Jewish community’s annual celebration of the written word. 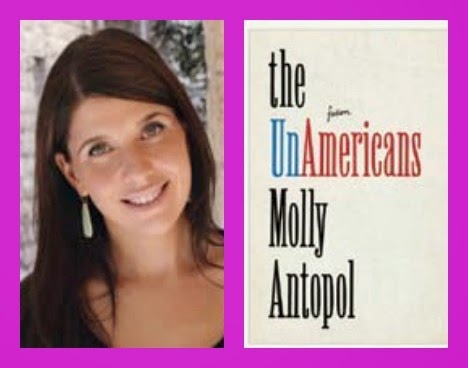 NPR's Alan Cheuse calls Nicole Mones' novel, "historical fiction at its best." This page-turner reveals the saga of African-American jazzmen living in Shanghai in the 1930s, until the Japanese bombing of Shanghai and the outbreak of World War II. Meanwhile, in Vienna, Chinese Consul Ho Feng-Shan falsifies thousands of visas, enabling Jewish families to escape. Based on true stories, Night in Shanghai is an entertaining look at a time largely forgotten. The presentation will include period slides and music. More, As Promised: Abq Jew knows. You've never even heard of Hoshana Rabbah. That's OK. Hoshana Rabbah is not generally considered one of your Top 10 Jewish Holidays. It may not even make the Top 20. Or the Top 100. 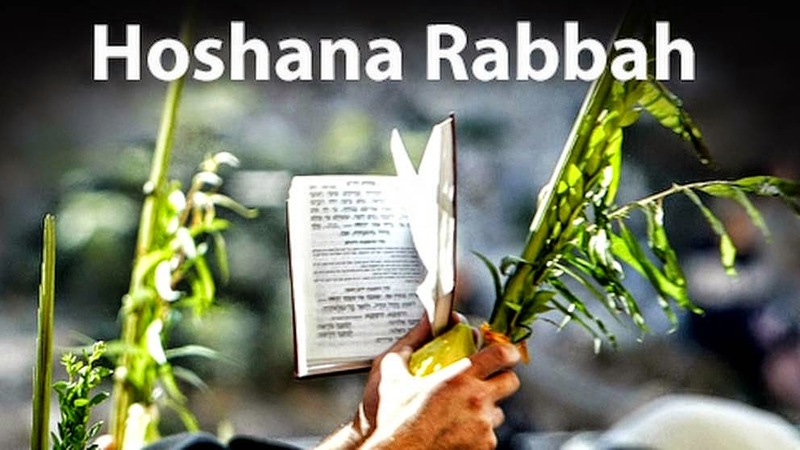 But here is what Hoshana Rabbah is: It's the seventh day of Sukkot. First of all, you must (you must!) recall that, on each of the first six days of Sukkot, we circle the synagogue while holding our lulav and etrog (except on Shabbat) and reciting various Psalms. The circle is called a hakafa (yes, just like on Simchat Torah), and we do it one time per day only. But on the seventh (7 = the Jewish number for completion) day, Hoshana Rabbah, the "Great Hoshana," we circle the synagogue seven "complete" times - just like Joshua at Jericho, although with results that won't alarm the Building Committee. And in case you were wondering - Hoshannah Rabba can never fall on Shabbat (see Nineteen and Twenty-Eight and Praying for Precip). So far, this is relatively straightforward. After the seven circuits, the four species are put aside and bunches of willows are taken in the hand and these are beaten on the ground three times so that the leaves fall off. The usual explanation of this rite is that it is a symbolic representation either of the rain, required at this season, which beats on the leaves, or of the leaves which fall from the trees until these are revived by the rain. 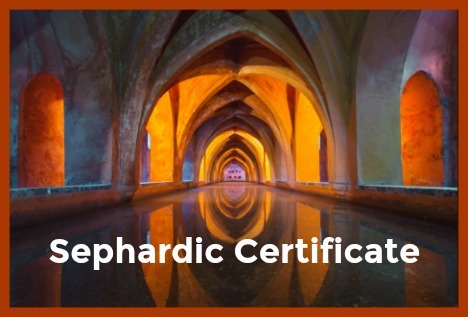 Further elaborations were introduced under the influence of the Kabbalah in which this day is seen as the culmination of the penitential season beginning on Rosh HaShanah and continuing through to Yom Kippur. 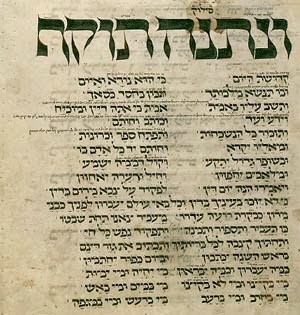 Part of the service is chanted in the solemn mode of Rosh Ha‑Shanah and Yom Kippur, the Reader wears white robes, and references are made to the 'sealing' of human destiny for the year ahead. There was a widespread superstition that if a man failed to see his shadow by the light of the moon on Hoshanah Rabbah night he would not live out the year. The mood of Hoshanah Rabbah, falling as it does on Tabernacles, the special season of rejoicing, is thus a blend of joy and solemnity. Hoshanah Rabbah belongs to the intermediate days of the festivals on which there are fewer restrictions on work being done. 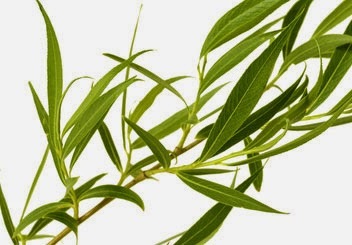 As we now practice the ritual of the aravah [willow that is beat on Hoshanah Rabbah], additional aravot [willows] are provided to the worshipers just after the seven hakafot [processions around the synagogue] with the lulav and etrog, the last time the Arba’ah Minim are used that year. As the Hazan recites, “A voice brings tidings and says,” the congregation strikes their aravot on the floor or against a solid object. It has become customary to strike five times, assuring that some of the leaves fall from the stem. There is no berakhah to be recited for beating the willows, and no uniformity about the required number of willows or beatings necessary. And now, after learning (or reviewing) all this - aren't you just a bit curious about where in Albuquerque you might observe (by which Abq Jew means participate in) this strange ritual? 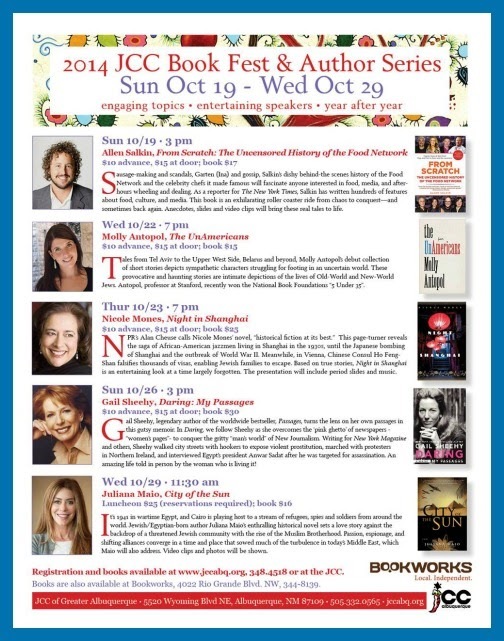 Book Fest & Visiting Authors: The Jewish Community Center of Greater Albuquerque is proud to present our New Mexico Jewish community’s annual celebration of the written word. 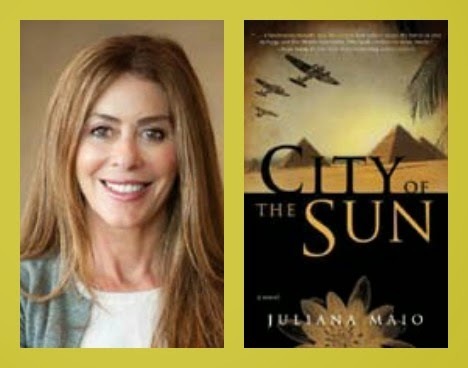 The JCC Book Fest & Visiting Author Series is in its seventh year of bringing new authors of high quality and importance to the Albuquerque community . 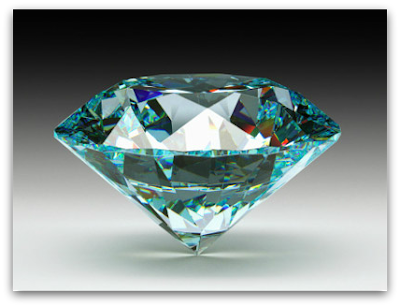 Drasha Diamond Number 7: In recent months*, Abq Jew has highlighted exceptional drashot that he felt deserved to be brought to the attention of a wider audience. And Abq Jew invited any and all of the reported 24 ordained rabbis who currently reside in the Land of Enchantment to join in the fun. 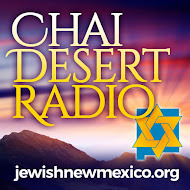 Today, we turn again to Rabbi Arthur Flicker of Congregation B'nai Israel of Albuquerque. This drasha - another jewel - deals with the problems presented by the Torah reading for the first day of Rosh Hashanah. It is reprinted here by permission. Rabbi Flicker's got the copyright; all rights reserved. One of the challenges of the High Holy Days is our first day Torah reading. It is not that it isn’t an interesting reading, from which many lessons can arise, rather it is the fact that the reading tomorrow seems to be so much more powerful and meaningful for the High Holy Days. 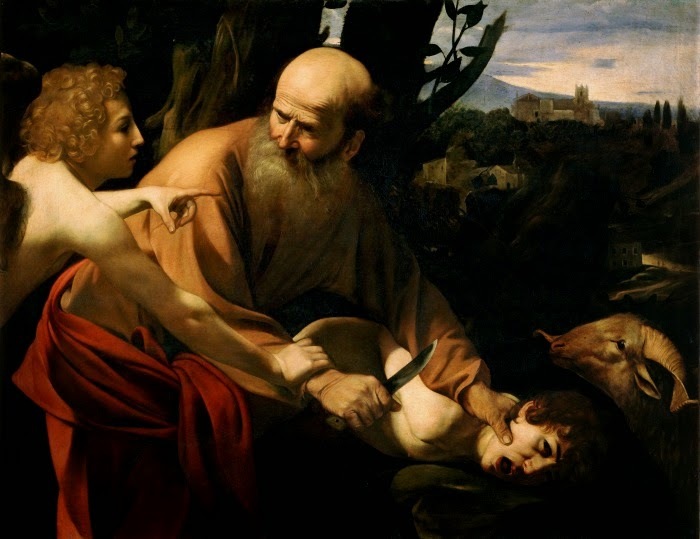 Tomorrow, we will read the Akedah, the near sacrifice of Isaac. It is a powerful story of love and devotion to God. It is a powerful story of the challenges related to following the commands of God. And the end of the story, when Abraham sees a ram and sacrifices it instead of his son, offers us one of the reasons for the Shofar which is such an integral part of our High Holy Days. It is such a wonderful Rosh Hashanah reading that the Reform Movement reads THAT reading on the First Day of Rosh Hashanah rather than the story we read. So, why should we read about Hagar today, and not read about the Akedah until tomorrow? There are many more people here today than there will be tomorrow. Why not read the more powerful story today and save Hagar and Ishmael for tomorrow? While there are many reasons for reading the story of Hagar today, one powerful one comes from the desire of the rabbis to answer some of the questions that many of us contemplate as we begin these High Holy Days. Our liturgical text will refer to God in several ways during these High Holy Days. The text will refer to God as King. The text will refer to God as Judge. Using these themes for God, the liturgy suggests to us that we should stand in prayer and confession as if we were face to face with God – God the King and God the Judge. It is certainly a scary image. 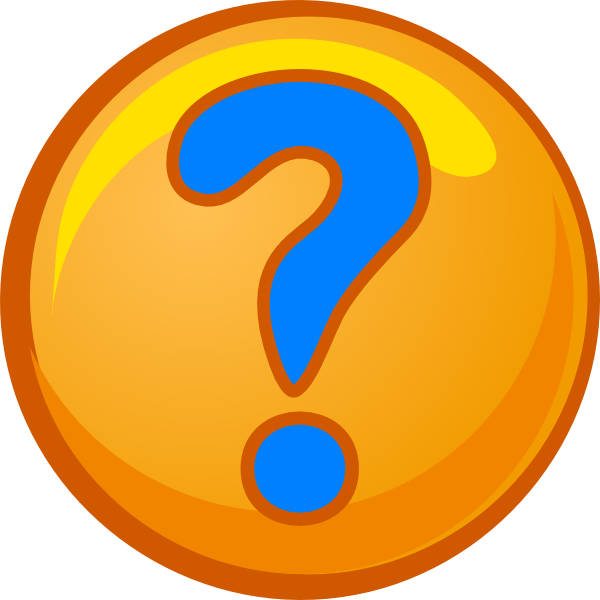 Who among us can face God without any sins, without any guilt? If the rabbinic theme is correct, we all should be trembling in our seats. However, few if any of us are trembling. That is because each of us, deep in our heart of hearts, knows that it really doesn’t seem as if God is judging us. And if God is indeed judging us each year, then it appears as if God’s judgments are not fair or just. 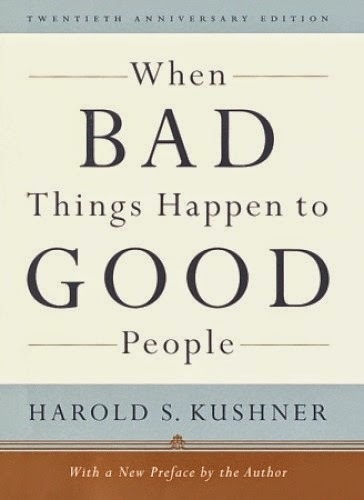 We can all see that good people suffer pain and loss each year, and bad people seem to reap rewards each year. God’s decisions don’t seem to be just. The rewards the Torah promises don’t seem to be fairly distributed and the punishments seem to be completely random. That doesn’t seem appropriate for a true God of justice. We wonder how God could have remained silent during the Holocaust or why God is silent in the face of genocides in Darfur or South Sudan, or the kidnaping of hundreds of girls in Nigeria with the plan to sell them as slaves. Imagine, the open selling of girls as slaves in the twenty first century! Surely we have progressed farther as civilized people than that. Yet, it is happening and we wonder where the punishments of God are against people such as this. I think THAT is one of the reasons the rabbis selected THIS Torah reading for us on the first day of Rosh Hashanah. Yes, it is about Hagar and Ishmael instead of Isaac. Yes, it doesn’t have the drama of the Akedah we will read tomorrow. But it DOES deal with the very issue of God’s fairness and justice. Here is poor Hagar. She has done everything right. She did good work for Sarah. She obeyed her boss and bore a child for Abraham. She never violated any rules. And yet, out of nowhere, her mistress comes along and tells her she has to leave the camp and take her son with her. And what about the man for whom she bore this child? He is prosperous with horses and servants and a good supply of food. Yet, all Abraham gives to Hagar is some bread and water – no servant to help her, no horse to carry her and his son, no significant food supplies to take care of them in the desert. He just sends her on her way. Surely Hagar had a legitimate right to challenge God. “Where is the justice? She should be REWARDED for her loyal and obedient service! And yet, it appears as if she is being punished. The Torah provides an interesting answer. Although the general theme of the Torah is “reward and punishment” a different answer is given here. 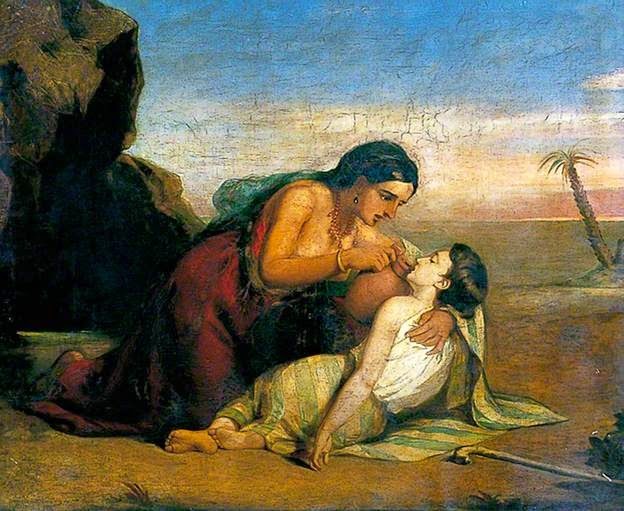 Hagar places Ishmael under a bush and goes off to cry over her loss and suffering. Then we are told that God opens Hagar’s eyes and there is a water well. She gives water to herself and her son, they are re-energized and they travel on. We are told that Ismael will become the father of a great nation. The water well was there all the time. 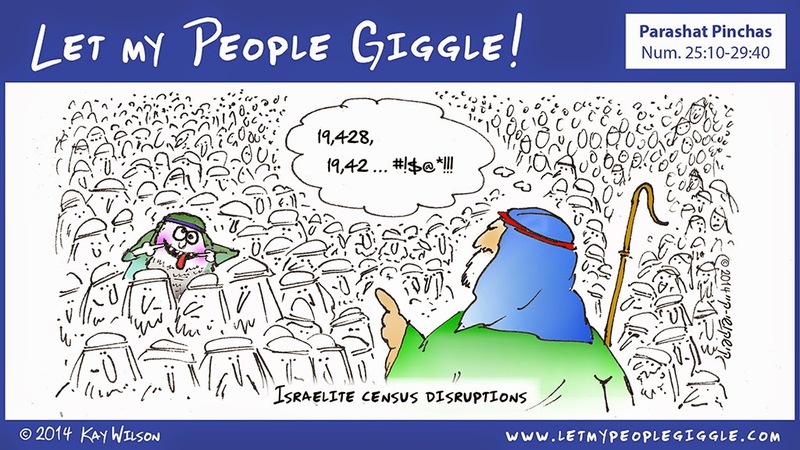 The solution to Hagar’s crisis was there all the time. She just didn’t see it. The solution to Hagar’s problems wasn’t with God, it was within herself. Why are we not doing more to be better people? 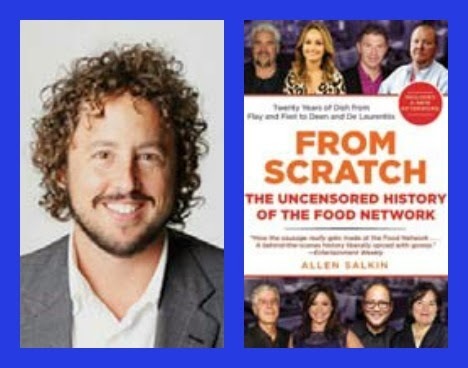 Why can’t we see that, like Hagar, the answers to the challenges we face are all around us. 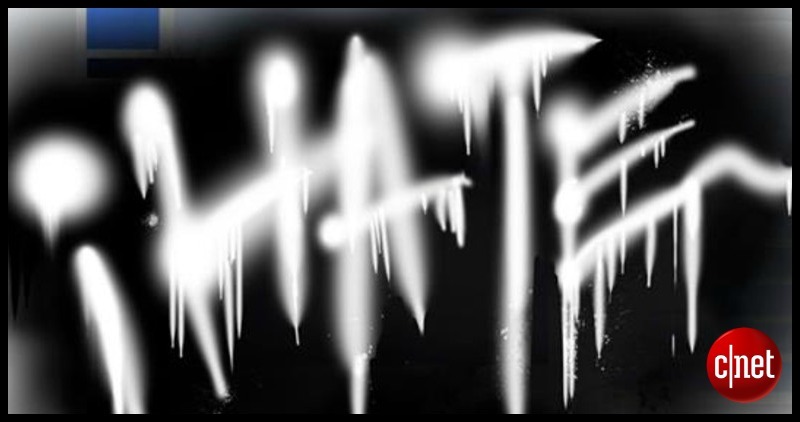 Why are we silent when we witness the injustices and unkindnesses in the world around us? It is easy to blame God. It takes away the responsibility from ourselves. However, the truth is that we humans aren’t doing a whole lot to overcome suffering in the world. When it comes to curses, we humans far outdo God! We bring down far more calamities on ourselves than God does. We start the wars. We invent these horrific weapons of destruction. We pollute and damage the environment. What are WE doing about it? Why aren’t we doing more against injustices? Why aren’t we speaking out about hunger, poverty, pain and suffering? Why aren’t we doing more as individuals and as communities? Perhaps, before we blame God, we ought to ask ourselves what WE are doing to alleviate suffering and pain in the world. Of course, it is easy to say that we really can’t do much about the poor kidnaped girls in Nigeria. Nigeria is an independent country thousands of miles away. Other than offering protests and some military expertise, there is not much America can do. There really isn’t much we can do about Crimea or the Ukraine. We would like to bring peace between the Palestinians and Israelis, but there really isn’t much we can do about it here. As powerful as the United States is, we can’t be the police department for the whole world. But the truth is that there are many challenges right here in Albuquerque and New Mexico about which we are mainly silent. When that young boy, Omaree, was found kicked to death by his mother, there was an outcry. Yet, the programs designed to protect our children remain woefully underfunded and understaffed. I don’t hear people protesting this injustice. I don’t hear people demanding more protection for our children. Yet that is, in truth OUR job, not God’s. Throughout our state, there are poor and elderly, mentally challenged and sick who need care and yet it is not being provided. Why are we silent? This isn’t God’s issue alone, this is ours as well. 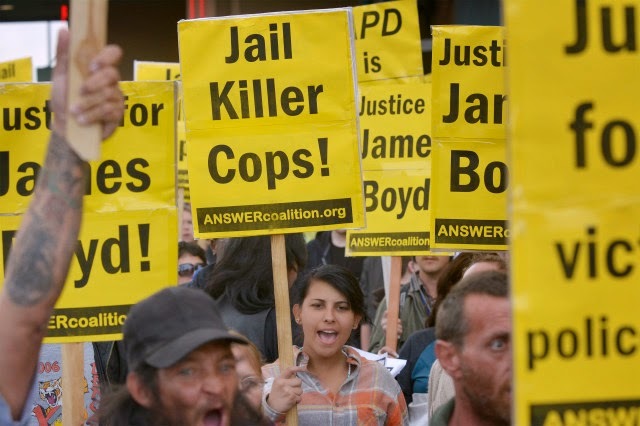 The shooting of James Boyd, a homeless man with mental health issues, resulted in riots in the streets of Albuquerque – not over the issues of homelessness and mental health, - but over the shooting. The shooting of Mary Hawkes a few days later, a young woman who was addicted to meth, drew more protests. However, the protests weren't over the lack of drug addiction treatment in New Mexico, it was only on police violence. The violence is awful and deserves to be protested. There need to be changes in the training and culture of APD. But where is the anger over our lack of efforts to curb homelessness, to help those with mental health issues, to help those addicted to drugs, to provide for people who are suffering, literally right in front of us on the streets of Albuquerque!! 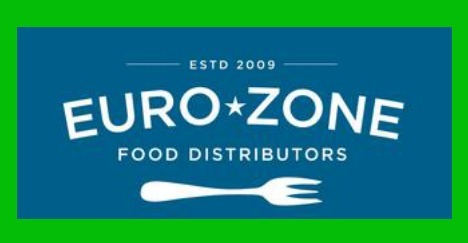 We don’t have to look around the world for the challenges we face; there are plenty right here in our own back yard. Perhaps we shouldn’t be asking “Where is God?” regarding human suffering, until we can answer the question “Where are we?” as people suffer all around us. Our High Holy Day liturgy continues the theme. On Yom Kippur we will chant the Unetaneh Tokef. The liturgy is saying that, like Hagar, the solution lies with us. We need to open our eyes to the world around us. 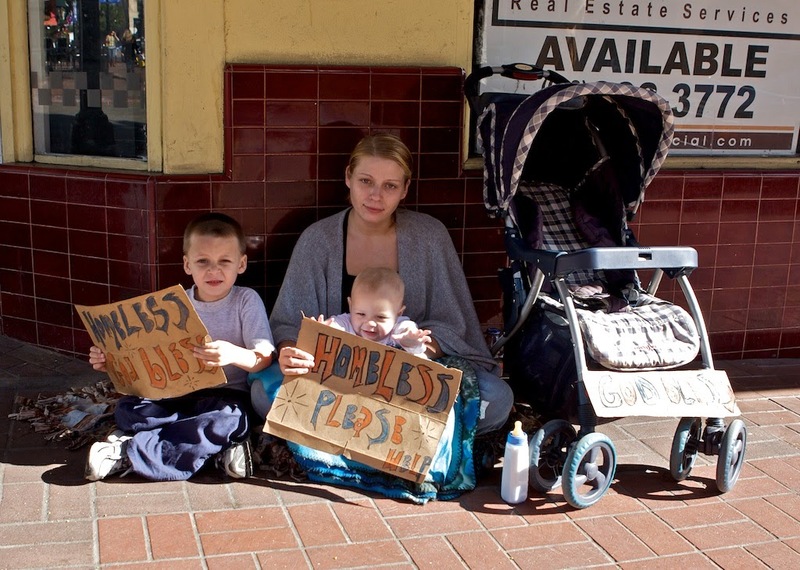 We need to see those who are hungry or homeless and find solutions. We need to see the mentally ill and demand the services they need. We need to see the elderly and infirm and demand that they be cared for. WE, not our neighbors. WE, not our fellow congregants. WE, not God. During these High Holy Days, we are told to call God “Judge and King.” We are told that our behavior for the past year not only should be reviewed by each of us, but also will be reviewed by God and that God will decree who shall live and who shall die. It seems so simple. Do good, and get another year of life. Do bad, and God will get you. And there is certainly a strong temptation to wish that life were so simple. Yet, experience teaches us otherwise. It doesn’t seem as if justice is being fairly meted out. Perhaps it isn’t so much God that doesn’t act with fairness and justice. 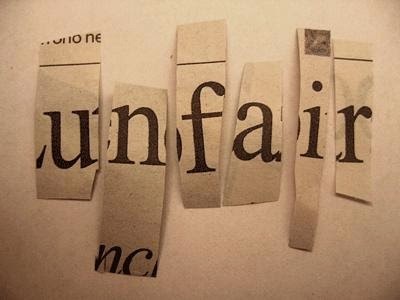 Perhaps it is we who are acting without fairness and justice. We reward ourselves with our personal successes. Then we punish others, and sometimes ourselves, when we allow our lust for personal rewards to blind us to the needs of others. Just as God opened Hagar’s eyes, may God open our eyes to see the injustices and sufferings around us. And may we then be stirred to actions to care for those around us. And then, perhaps the world will no longer be cursed with that suffering. And then, when we gather here again next year, we will discover that we have been blessed with the caring community and brotherhood that God intends. * See Drasha Diamond Number 6, Drasha Diamond Number 5, Drasha Diamond Number 4, Drasha Diamond Number 3, Drasha Diamond Number 2, Drasha Diamond Number 1. Rabbi Arthur Flicker was born and raised in Columbus, Ohio. 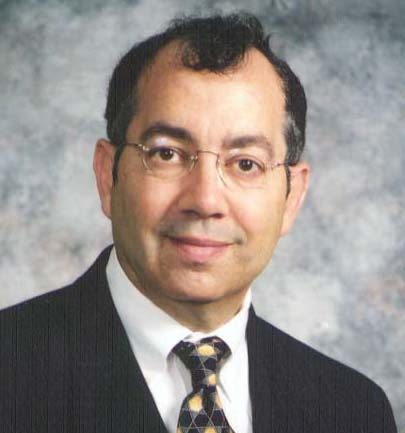 A graduate of Northwestern University, with an MA in Jewish History from the Ohio State University, Rabbi Flicker was ordained by Rabbi Rueben Luckens in 1990. Prior to coming to Congregation B'nai Israel, Rabbi Flicker served congregations in Tyler, Texas; Cincinnati, Ohio; and Columbus, Ohio. He always been active in community affairs, having been awarded the Martin Luther King, Jr. Spirit Award by the Cincinnati Baptist Ministers Conference. 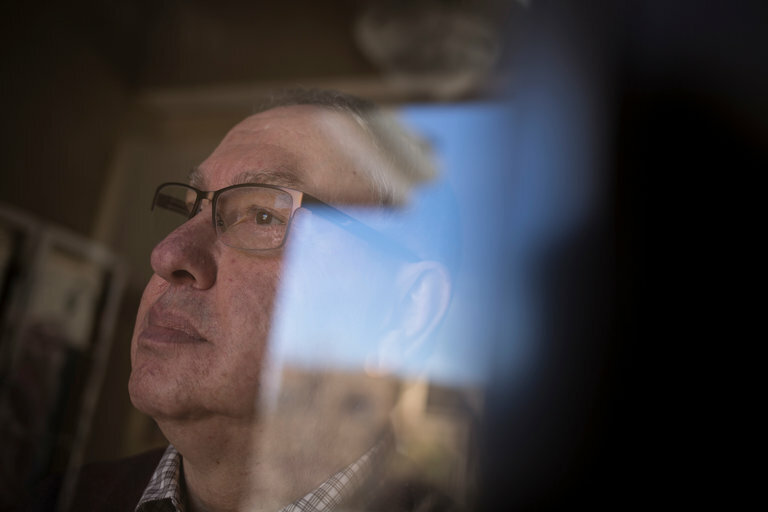 In Albuquerque, Rabbi Flicker has served on the board of the Samaritan Council, the Public Safety Partnership, the Governor’s Homeland Security Religious Advisory Taskforce and as a Chaplain for the Albuquerque Police Department. 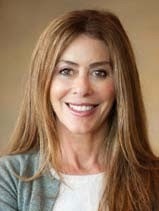 A former public school teacher and coach, business owner and synagogue administrator, Rabbi Flicker brings a unique collection of skills to the rabbinate. Partnering with volunteers within the congregation, Rabbi Flicker has brought diverse services and programming to our community. He has also encourage the participation of members of all ages in our religious services.